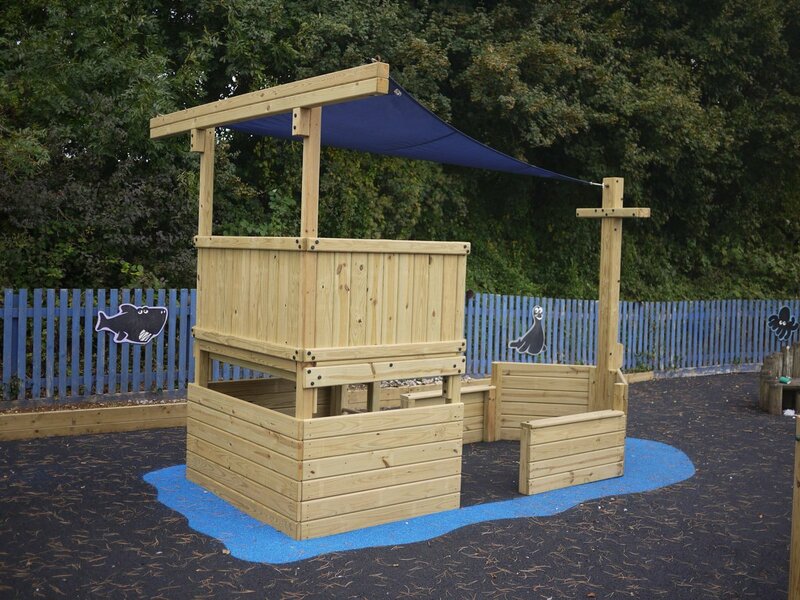 This range is ideally suited for younger children thanks to its lower (1.2m) deck height and the corresponding shorter slide, lower swing beam etc. But the Canyon Adventurer from Home Front still provides really sturdy build, generous play areas and a huge selection of accessories. If you only have limited space in your back garden then the clubhouse alone, and maybe a slide too, will provide our children with a wonderful, safe play area. The example top right fits into a neat corner space in a city garden. Pricing starts with the basic clubhouse which features all the details below. Then construct your own system from the choice of accessories. If you prefer, we have put together a selection of pre-planned packages with some accessories. You can either choose one of these as is, or use it as a starting point and customise it with the accessories to suit your family. And remember, just like all our garden play equipment, our equipment allows you to add features later. Maybe a bridge to connect to a second clubhouse ? Or another swing ? A great Christmas or Birthday present which will last much longer than most of the toys which will come their way. And this way you can keep the children interested in their play equipment for longer. Click on the caption below each image to find out what is included.